Winning the first gold medal of the Olympics was both a blessing and a curse for Sage Kotsenburg, America's 20-year-old slopestyle snowboard brogod. It was intense to be honored so early ("The flag is going up. You've got the medal on. And you're just tripping out."). But it was also sort of a bummer to come home and do the media rounds without getting to enjoy any of the social aspects of the Olympic village. "My event was the first event, and no one really parties before their events. So then I won and had to get out of there before any good stuff happened," Kotsenburg said. Kotsenburg captured the hearts and minds of America's stoners and epicures when he mused on something that, let's face it, we've all wished for. It's finally happened. 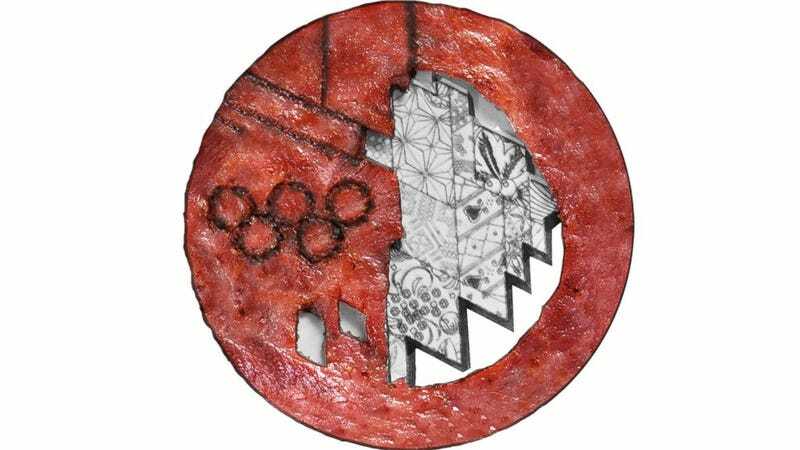 A Pennsylvania meat company has crafted a special bacon medal for Kotsenburg, one round slab of turkey bacon etched with a wood-burning tool. It is, presumably, as edible as it is priceless.